Asheville, NC, USA – Today the UK Department of Energy and Climate Change (DECC) released its long-awaited Biomass Emissions and Counterfactual Model Calculator and an accompanying report Lifecycle Impacts of Biomass in 2020 report. The findings from the tool and associated report confirm what U.S. and European ENGOs have been claiming for the last few years – that burning forests for electricity is bad for our climate. At the heart of the debate is the dramatic growth in new wood pellet production to meet the surging demand from the UK. Drax, the UK’s largest utility, has already converted one of its coal-fired boilers to burn wood pellets and plans to convert three more. This increased demand for wood as a fuel source in the UK is driving the expansion of wood pellet manufacturing and export in the US South. 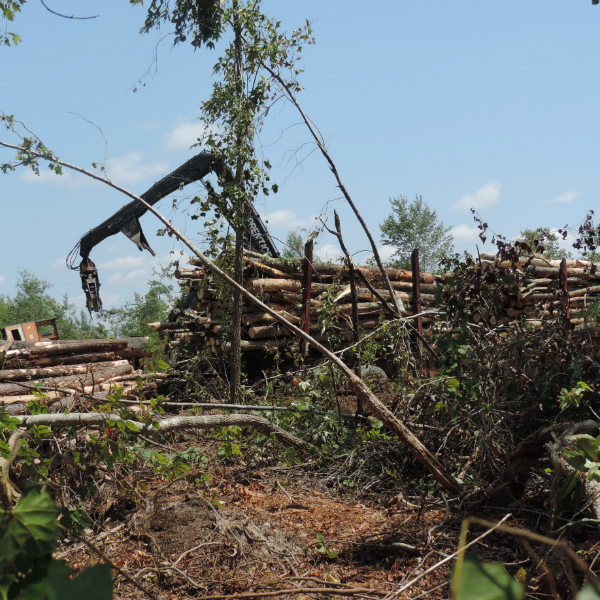 Enviva, a wood pellet supplier to Drax, has come under heavy fire from conservation organisations, having been tied directly to the clearcutting of wetland forests in its production of wood pellets. The new report clearly shows that whether it is whole trees or so-called leftover “residuals” from logging operations, Enviva’s wood pellets, when burned, release too much carbon to be considered a solution to climate change or a feasible alternative to coal. Over the last two years, the Southern US has emerged as the world’s largest exporter of wood pellets, mainly to meet growing European demand. There are currently 21 pellet mills operating across the region with 29 facilities proposed to come online over the next several years. Included in those proposals are three new wood pellet mills to be operated by Enviva and four new facilities to be operated by Drax and its subsidiaries in Mississippi, Louisiana and South Carolina. Major European utilities led by Drax, E.On and Electrabel have invested greatly in burning forests for electricity generation rather than pushing toward truly renewable energy generation like wind and solar. Heavily subsidized by the EU and national governments, this report serves as a wake-up call to policy-makers, corporate leaders and major investors in the US and Europe who have implemented biomass as part of their strategy. Earlier this year, a group of over 60 distinguished US scientists wrote the UK Secretary of State for Energy and Climate Change, Edward Davey, expressing concern over the UK’s growth of biomass electricity, foreshadowing the outcome of the new report. They urged the agency to end further subsidization of this misguided industry. While a number of European nations, led by the UK, Netherlands, Denmark and Belgium, have turned to biomass as a means to reduce carbon emissions under EU renewable energy mandates, scientists and conservation organisations have continued to push back against the assumption that because trees simply grow back this industry is carbon beneficial. The findings from the new report not only support ENGO claims but also show that, in many cases, burning wood for electricity has an even more detrimental impact on our climate than burning coal. Dogwood Alliance is increasing protection for millions of acres of Southern forests by transforming the way corporations, landowners and communities value them for their climate, wildlife and water benefits. Dogwood Alliance has revolutionized the environmental practices of some of the world’s largest corporations. For more information on the organisation please visit www.dogwoodalliance.org or follow on Twitter @DogwoodAlliance. Editor’s note: The EPN is highly interested in the issue of accurate carbon accounting of forest products and forests for energy, and engages through its project called, Forest Carbon Counts. The Dogwood Alliance is a member of the EPN North American Steering Committee.